Back when Barack Obama was first elected President of the United States in 2008, some of us felt pretty good about ourselves. Racial prejudice was over and done with, and we were living in the New Jerusalem. This image has come back to me over and over again over the past five years. 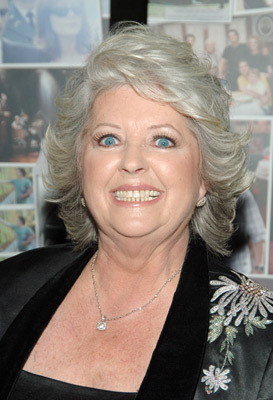 Most recently, Paula Deen, whom you would have thought would have been smarter, has shown herself to be a racist idiot of the crystallized-seawater variety. In recent depositions, she spoke defiantly about using the n-word in casual conversation. She defended herself by explaining that she was once held up by a black man. Well, Paula, then that’s okay! We forgive you! Use racial epithets as much as you want! Paula has asked for forgiveness via Internet video three times over the past few weeks. She is often tearful, which clearly demonstrates that she’s the victim here. The great revelation here, for me, was doing research for this blog. I learned that there are a lot of people here in the USA who don’t like black people, and who use the Internet freely! It’s a cute little girl asking her (white) mother if Cheerios are good for your heart. Mom says yes. Little girl runs into the living room and dumps a bunch of Cheerios on her (black) father’s chest. Now go on line, look up the video (use search terms “interracial Cheerios”), and see what comes up. Now go on the net and read the comments (search terms “International Delight bouncer”). You won’t need to go far to find something really atrocious. Imagine: a white woman admiring a black man’s body! I won’t tell you the names of the websites I found these on. If you do the same searches I did, you’ll find the same kind of comments. I was disgusted by them. But – you know what? – go look for them. I want you to be disgusted too. It’ll show you, more forcefully than I can tell you, the kind of world we live in, and what we’re up against. Wonderful news! The State of Rhode Island and Providence Plantations has become the tenth state of the Union to legalize gay marriage! Will Partner and I marry? I don’t know. Largely it will depend on whether the pros outweigh the cons. Will it have tax advantages? Maybe yes, maybe no. Will it guarantee us the right to visit one another in the hospital when we’re sick? Almost certainly yes. (This is a big plus, because we’re both getting older.) What about the rights to inheritance, and to determine what happens when either of us passes away? (Another big plus, and I don’t need to remind you once that we’re getting older.) 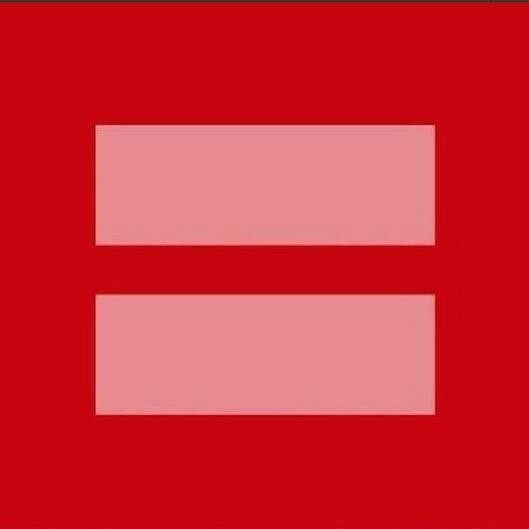 And, if gay marriage isn’t confirmed on the Federal level, the whole thing can still be thrown out the window. But don’t worry. If we decide to get married, I’ll be sure to announce it well in advance. And I warn you that I expect very lavish wedding gifts. The Supreme Court heard arguments about two gay-marriage issues last week: California’s Proposition 8, which declares (by popular vote) that gay marriage is out of the question, and the Defense of Marriage Act, enacted by the usually-smarter Bill Clinton, which declares that (for federal purposes) marriage can only ever be between a man and a woman. The passage of Proposition 8 implies that voters can grant or deny civil rights. DOMA creates a situation in which married gay couples can still be denied federal benefits. – Can a referendum really decide a civil rights issue? I’m fine with the voters electing representatives, and deciding on bonds issues, and so forth. But I’m pretty sure that, if civil rights for black people had been put to a vote in the sovereign state of Mississippi in 1964, the vote would have gone badly for black people. – Someone on Facebook suggested “holy matrimony” as a substitute for the Catholic / Baptist / etc. word “marriage.” After all, pretty much every City Hall grants “marriage licenses,” and City Hall is no place for religious ceremony. 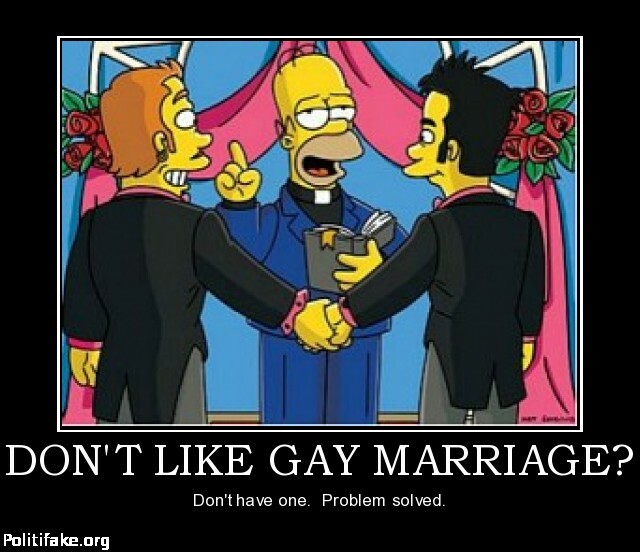 So: if the Holy Roman Catholic Church doesn’t like gay marriage, it doesn’t have to perform them; that would be allowing two men to enter “holy matrimony.” But it must acknowledge that two men are civilly and legally “married,” just as they acknowledge Protestant marriages and Jewish marriages and Muslim marriages and purely-City-Hall marriages. These are “allies”: straight people, people whose rights are not in question, who are coming forward to say that they support our right to marry. I thank all our allies: Mary, and Diane, and Paul, and the rest. They are wonderful people. And who cares what the Supreme Court decides? And we will win in the end. Seen not long ago on TCM: “Mr. 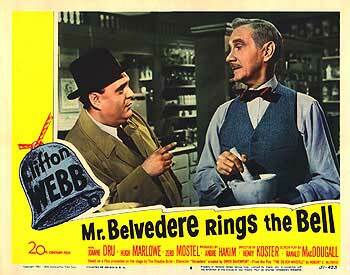 Belvedere Rings The Bell,” from 1951, with Clifton Webb andJoanne Dru and Zero Mostel and Hugh Marlowe and a host of others. Clifton Webb’s an author / lecturer who wants to pep up an old folks’ home; Hugh Marlowe is the good-but-stodgy minister running the place; Joanne Dru is the minister’s assistant, who sort of falls in love with Clifton Webb, but who’s really in love with Hugh Marlowe. There are also a passel of of wonderful older character actors and actresses playing the denizens of the old folks’ home. And then there’s Zero Mostel, folks. I probably would have switched away, if not for him. 1951? He was testifying in front of the House Un-American Activities Committee that year. Zero didn’t name names, however. It was terrible for his career in the 1950s, but (eventually) he came back, and he triumphed. In this movie, Zero is (as usual) balding and sweaty and amoral, but finally very sweet. And brilliant, as always. I can only wonder what was going through his head while he was acting in this movie. Was he testifying to Congress while acting in this? Jesus. And Clifton Webb (who, for me, will always be Waldo Lydecker in “Laura,” typing in the bathtub), is wonderful. As a movie, “Mr. Belvedere Rings The Bell” is a pleasant nothing. As a period piece, it’s interesting. As a time capsule, and an artifact of human culture, it’s priceless. I have been listening with growing despondency to the various gun nuts who have been defending (in the face of the Newtown catastrophe) their right to own guns. Get it? Their right to own killing machines overrides any other rights. It’s in the Constitution! There was one especially virulent nut on “Hardball” not long ago who threatened, in veiled terms, that he and his fruitcake army might rise up against the government if any further attempt toward gun control were made. I am feeling more and more these days that I have very little in common with certain of my fellow Americans. The whole blue states / red states thing is getting to be less of an Election Night truism and more of a reality. There’s this thing that libraries and art galleries do, called “deaccessioning.” This means getting rid of something that you’ve acquired along the way. Maybe it’s extra. Maybe it’s out-of-date, or has been ruined in some way. It occurs to me that, in light of all the secessionist talk after the past election, we might talk about deaccession instead. Let’s just give it away. I could have used lots of other maps: obesity, educational level, etc. But illiteracy seems appropriate. Maybe the Deaccessioned Former States of America will be smart and unite, as in the CSA days. But even if they do I doubt that they’ll stay together. Once the secessionist principle has been put into practice, they’ll use it to secede from one another, region by region: King Huckabee of the Christian Republic of Arkansas can secede from President Perry of the People’s Damned Right State of Texas, and the Gulf states can form their very own banana republic, the Free Caribbean States of No Health Care and No Human Rights. Naturally they won’t have any kind of government-funded education. How ridiculous! Or income tax. Or gun control. They can legislate all of the race-specific bills they like; they don’t even have to pussyfoot about “voter fraud” anymore. They won’t have to let Hispanics or blacks vote at all, if they like! They’ll have some resources, to be sure, mostly the Texas oil basins. If Texas goes its own way (which it most probably would), this will do the rest of Dixie little good, as King Cotton no longer rules the world. And what would Texas be? An oil republic, like Venezuela. Neato! Do you think Texas will join OPEC? Partner and I have noticed lately that the stuffed animals in our household are drifting apart. They all began in the bedroom, where we’re most comfortable, but some have lately migrated to the living room, where they seem to feel more comfortable. We recently discovered that this was for political reasons. The bedroom animals are Republicans; the living-room animals are Democrats. Well, first of all, we found that the bedroom animals were almost always having secret meetings under the bed, and when we dragged them out, they were very tight-lipped about their conversations. And who are they? The moose, whom we acquired in New Hampshire (a Republican state). The polar bear. (He’s white. Enough said.) And the shark (whom we bought at Ikea, okay, but who’s a shark, which means he almost certainly has Wall Street connections). There’s also an Ikea rat in the corner, peeking at the rest of them (probably a lobbyist). In the living room, we have a jaguar (whose manufacturing tag informs me that his name is JAMAL, which means he’s either a Muslim or an African-American), and a lion whom we purchased in New York City (liberal enough for you?). Also Pluto from DisneyWorld, who’s a moderate, but with Hollywood connections. And a purple platypus, whom we believe to be emotionally disturbed. In brief: the Democratic caucus. They have taken to shouting at one another from one room to another. It started with: “Vote Republican!” “Vote Democrat!” It’s gotten uglier lately: they’ve taken to name-calling. Nasty stuff! It’s a shame when fuzzy little stuffed animals can’t agree. I fear for the future of the American republic.